It seems like we haven’t done a dealer report in quite sometime. Let’s get down to it as I’ve seen a few nice looking Star Cars over the past month or so. 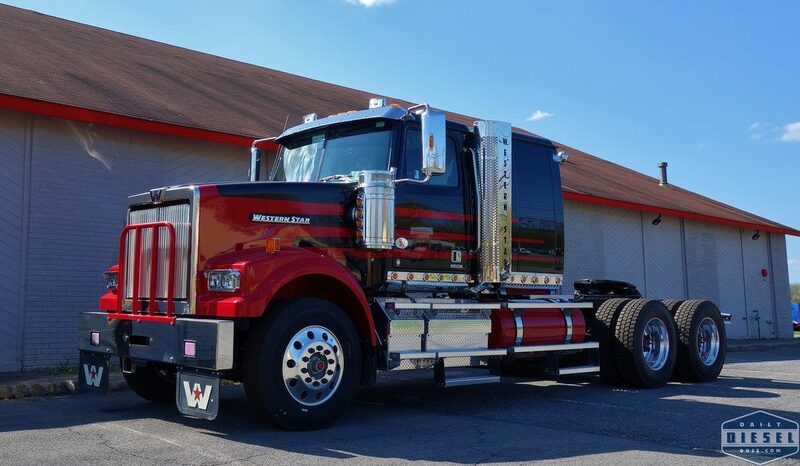 It would seem that Tracey Road ticked off every option in the chrome checklist with this 4900. If you’re delivering new trucks and equipment you might as well have a brand new truck. Speaking of new trucks, here is a future Suit Kote truck. I know, they usually have a solid green color for all of their rigs but I can only tell you what the factory window tag read. Best scenario, this is a statement truck for a veteran driver. Worst scenario, they are going to paint over that awesome factory color scheme. I guess as long as it’s not white…..
And on the topic of white trucks here is a 4700 with a Aquatech setup out back. All the fancy dodads and storage boxes help dress it up a bit. I give it a passing grade. This entry was posted in At the Dealer and tagged aquatech, suit-kote, tracey road equipment. Bookmark the permalink. Need more Syracuse area dealer reports. 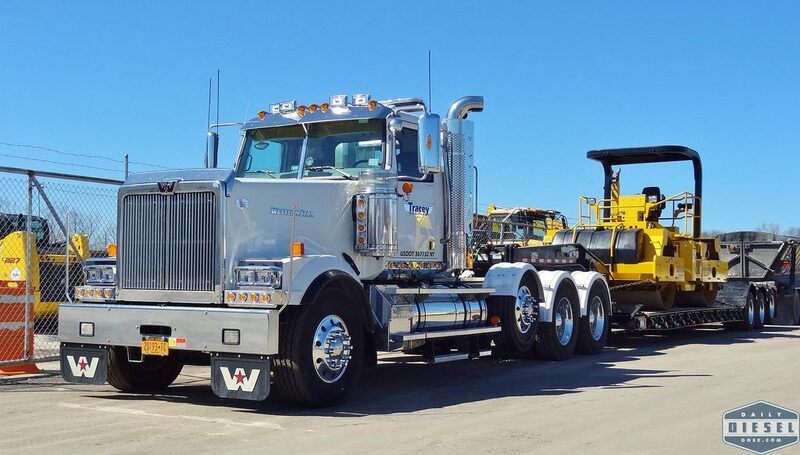 Kenworth and Peterbilt. Yes, I’ve got to get back into a routine. Sadly Peterbilt and Kenworth like to keep their stuff behind razor wire. FYI Eric… the Red and Black truck was not sold to Suit Kote, it is pulling a walking floor to the landfill. Landfill cruiser. What a shame!